Given the name of this blog, it’s possible that you’ve sometimes wondered why I never talk about coffee, or cafés. The answer is simple and I admit, brunch has taken over my life without leaving space for anything else. This year, though, I’m taking control back, and I want to give some meaning to that other word which appears in the title of this blog: coffee. I’d like to dedicate this first post to everyone who’ve asked me, countless times, some advice about cafes with wifi in Barcelona to work in, as well as cafes that make the perfect workspace. 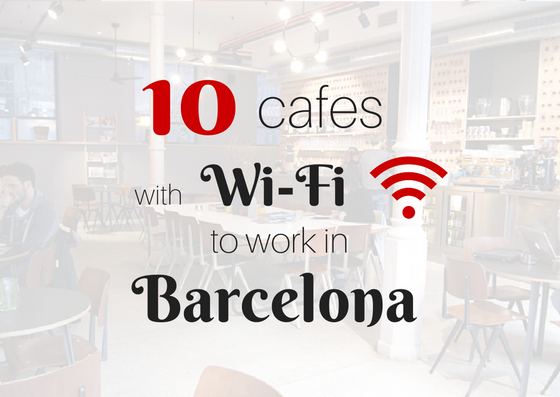 That’s why I though the title “10 cafes with Wi-Fi in Barcelona to work in” would be much appropriate. Btw, it’s great that we are able to spend a day working from a cafe, but I’d like you to think also from the cafe perspective. If you were the owner, would you like to have clients staying all day long and having just one coffee? This cafe it’s located in the Gaspar Foundation’s patio and its customers are usually tourists who need some rest. It’s a quite cafe where the view from the inside brings you peace and harmony. The Wi-Fi connection works pretty well and the cafe’s prices are quite decent. They’re so used to customers arriving with their laptops here that they’ve even adapted a part of the restaurant so that these clients will be more comfortable. Opens Monday to Friday from 11.30, and weekends from 10. Located inside an old convent, this place can be magical, if there aren’t too many screaming kids around. Opens from 10am. Sunday and Monday closed. It sounds crazy but this cafe was decorated to invite people to feel at home while working there. The owner, the lovely Grisel, took care of every details such as comfortable sits, many plugs (even USB plugs) and a Wi-Fi password that will make you smile. If, like me, Spanish isn’t your first language, you might ask if the name Chicha Limona means anything. I’ve come to the conclusion that it might mean “Ni chicha, ni limona”- which means neither one nor then other. Warning: it’s not cheap! Opens from 8am. Closed on Mondays. This café is rather small but you feel the entrepreneurial vibe when sitting there. There are extension cords so that you can plug your pc. Food and drinks are by Milk&Co and they serve also specialty coffee. They open Monday to Friday until 8pm and Saturdays at 10am until 2pm. The sister-cafe to the Federal Café in Sant Antoni, which we might all know by now. A spacious space with a lot of natural light. Opens every day from 9am. A cafe in the Gothic quarter, hidden in its narrow street and therefor without much natural light, but always very welcoming. Opens from 10am to 10pm. Tuesday closed. OK ok, so Urquinaona Square isn’t a barrio – but how many times have you used it as a meeting point? A cafe inside a library. There’s a space on the top floor where you can work in a calm atmosphere. Opens from 9am to 9pm, Saturday from 10am. Sunday closed. Sopa it’s a big space with a lot of natural light and it’s located close to the Glories area. It’s a vegetarian restaurant opened all day long. During the lunch hour it gets pretty busy but I guess, at that time, you’ll also be eating, right?! If you are into yoga, they also have a room where they offer some classes, so once you are there you have everything you might need and you don’t have to waste time in transportation. 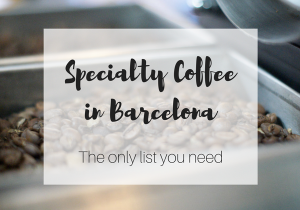 This cafe is known in Barcelona for its delicious cakes and I can assure you that you won’t be disappointed with any of them. Their Wi-Fi works pretty well and close to the communal table you will find thee plugs. Although in Barcelona most of the cafes close on Sunday afternoon, Spice Café it’s luckily opened but they do close on Monday. This concept it’s not a coworking, neither a cafe but it’s the fusion of both. It’s a cosy space where you can work feeling like you are at home. You pay for the hours you spend there and there is no commitment. Also, they pay for your breakfast. Yes, the price includes fruits, coffee, tea and snack and you are free to help yourself in the kitchen. It opens from Monday to Friday from 9am to 8pm. The cafe itself it’s not huge, but the vibe is great and the owner are just fantastic. The food and drinks are amazing and you have a big variety to choose from. Many healthy and vegan options available. Wi-Fi works pretty well. Check-out the opening time. They are closed on Monday. Do you have your favorite cafe in the city where you like to work in? Leave a comment and tell everyone more about it. Hi there, I think you can add to the list a place called called "Nappuccino", they just opened last week, so it is pretty new in town. They have wifi and what's the best is that YOU CAN TAKE A NAP there. It is like a siesta cafe :) They built some cool structures with plugs and there is light inside. I have never seen anything like that before. The atmosphere is very relaxing with background music and wifi works perfectly. I think they did not start yet with marketing or anything, but you can find them at Muntaner 22 in Eixample. That sounds very interesting! Thank you for your comment, Sara! Hi Claudia! Coco Coffice looks so cosy and looks like the perfect place to sit down with a good book or do a little blogging on my laptop. I think this is a great list, thanks for sharing! Thanks, Lena! Yes, lots of people go to SandwiChez and I didn't had on my list yet because I went once to the one on Passeig de Sant Joan and I had to leave because the Wi-Fi wasn't working on my mac even after I reboot. They have recently opened one in Sagrada Familia and I was more lucky there. I have also recently tried FabCafe and I'll definitely add to the list ;) Thank you for your comment, Lena! Humm I still don't understand how Granja PetitBo is in this list. They don't even have WiFi. Hi Ricardo, Thank you for your comment. I'm not sure about what version of the post you are seeing, but I have updated it on the 21st of May 2017 exactly because some places closed down and some ones had no Wi-Fi anymore. You should be able though to see only the updated version and there is no Granja Petitbo on it. Could you please confirm that? Maybe try to refresh the page? Thanks! Don't go to OMA unless you're okay with slow internet for maximum 1 hour. Hugely disappointed as a working place. Which it's clearly not. Also, the guy working there was rude with me and told me that I was only aloud to sit at the big table against the window. Maybe great place for food but not for work. So sorry to hear that, Roel. I hope you were luckier in some other place. Thank you for sharing your experience! Hello, Nice article about work places in Barcelona, very interesting! 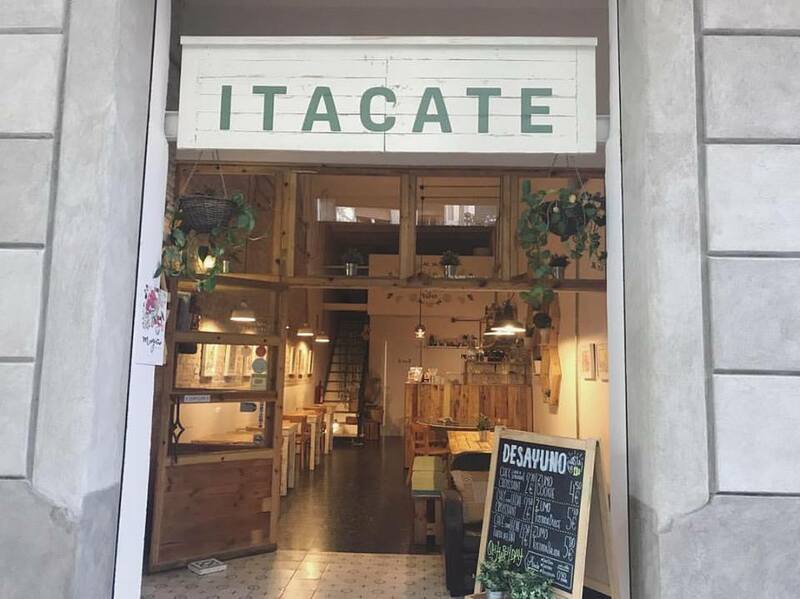 There is this new place in Sant Antoni area in Carrer de Manso 17 - Coco Coffice which is a coworking café very cosy, relax, perfect for us digital nomads, freelancers, students, remote workers to work and study with a great Wifi. You pay for the time spent (per hour,day or week) and a free buffet of hot drinks, cookies, snacks and fruits is included in the prices! Enjoy!